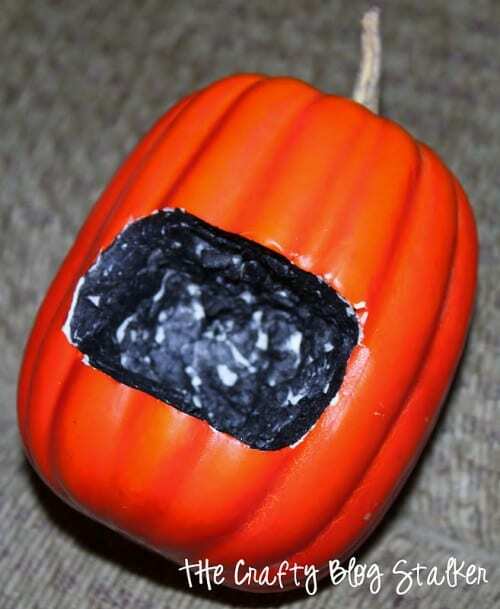 Follow this easy DIY craft tutorial idea and learn how to make your own vampire pumpkins. 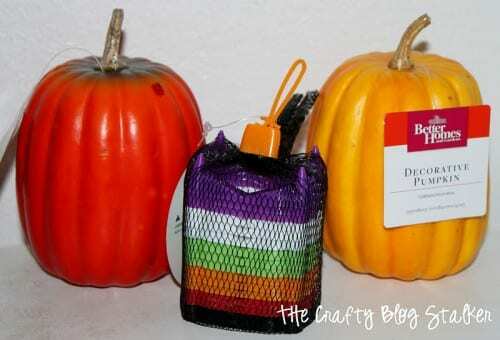 Fun Halloween craft to decorate for your Halloween Party. 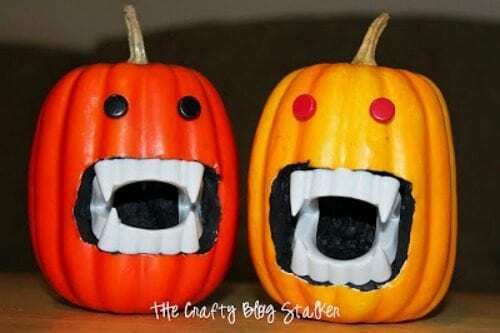 Are these vampire pumpkins cute or scary? These cute little vampire pumpkins have been floating all over the internet and Pinterest and I knew that I just had to make some of my own. I wanted to take mine to work so that meant that I couldn’t use real pumpkins. I printed off the mouth template from marthastewart.com and cut out the mouth on the pumpkins. The tricky part was knowing how deep to go, so I kept trying the teeth in until I thought they fit right. After the mouths were painted and dried, I put the teeth in and then used large red and black brads and just pushed them straight in. SAVE HOW TO MAKE VAMPIRE PUMPKINS FOR HALLOWEEN TO YOUR FAVORITE DIY PINTEREST BOARD! Aww scary and cute at the same time! I’m suffering from a bit of Pumpkin jealousy at the moment, Pinterest, My Blogs Reading list and my Facebook news feed are all full of trips to the pumpkin patch, pumpkin crafts and recipes.. making me wish I came from a country that embraced the pumpkin the way you guys do!! These little guys are so cute! They make me smile 🙂 thanks for linking up, you’ve been featured at The Kurtz Corner FB fan page! Check it out! Haha! How cute! I’ll have to show my kids, they’ll laugh their heads off! Oh now this is too fun! Might have to do this one this year. My 2-year old son would LOVE this! Thanks for sharing at the Happy Hello this week! How funny! YOurs are fabulous! Super cute Halloween idea. 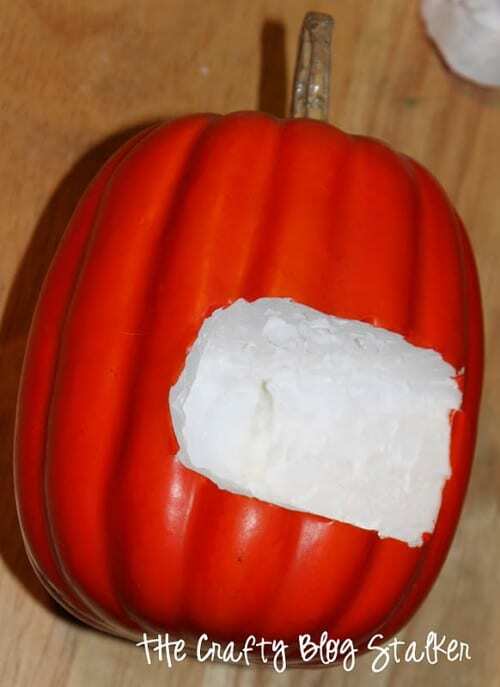 I hate carving pumpkins but this would be super easy and fun. Thanks so much for linking up to Creative Thursday. Can’t wait to see what you share this week! Have a wonderful week. Thanks for sharing on Tutorial Thursdays, greatly appreciated. I really liked this pumpkin craft as I do all of your work! Thank you Janelle! It is a fun little something to make for Halloween!